I’ve struggled with the YA (Young Adult) category before and often considered it to be read by much younger children than it’s marketed for. But here’s a YA book that I think is both appropriate and appealing to high school teenagers. The issues are real, the writing is superb, the intensity is enjoyable but not overwhelming. There are so many things to discuss in this book that I think it would make a fantastic book group choice for kids, students and teachers. This is a sequel to Winger which I liked but not as strongly and urgently. Definitely an enjoyable read and a necessary one to read before Stand-Off. 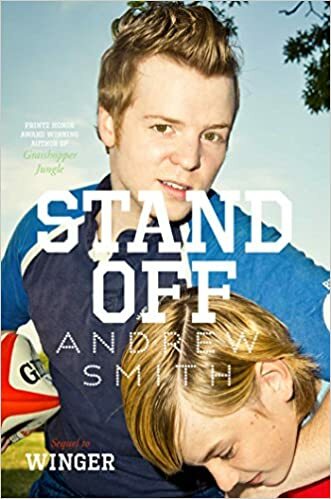 But this book is really exceptional and I praise Andrew Smith for such powerful and meaningful writing.